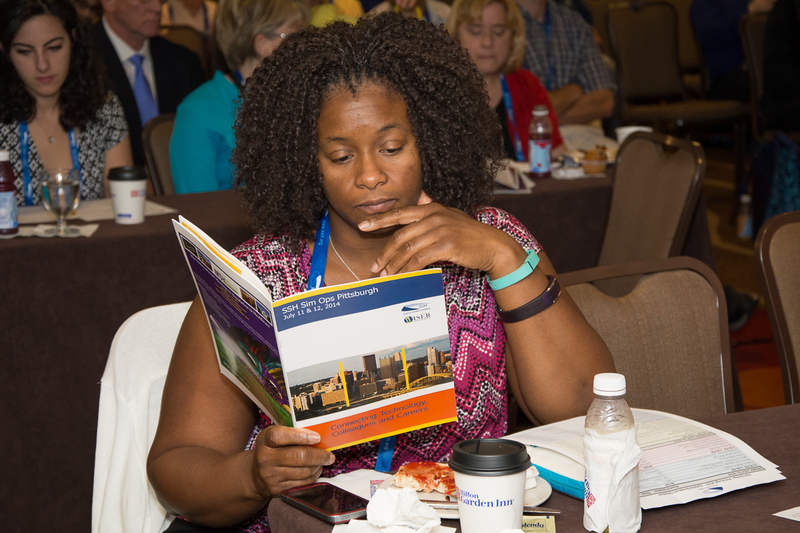 This year, WISER was chosen to host the 2014 Society for Simulation in Healthcare (SSH) Sim Ops Conference on July 11th and 12th. Over 190 attendees traveled to Pittsburgh from all around the US and internationally, to attend this wildly successful conference. This event was designed to meet the growing needs in the field of Simulation (Sim) Operations Specialists. Each day was filled with hands-on workshops and challenges, exhibitor visits, and the mixing and mingling with colleagues. The symposium was kicked off with a keynote address by Dr. Paul Phrampus, Director of WISER, entitled "Technical Connections: The Foundation of Simulation". His address touched upon the dynamic field of simulation education and the expansive role of the Sim Specialist in today's simulation program environment. Following the keynote address, Dr. Randolph Steadman facilitated the "Critical Components for Team Success" workshop. 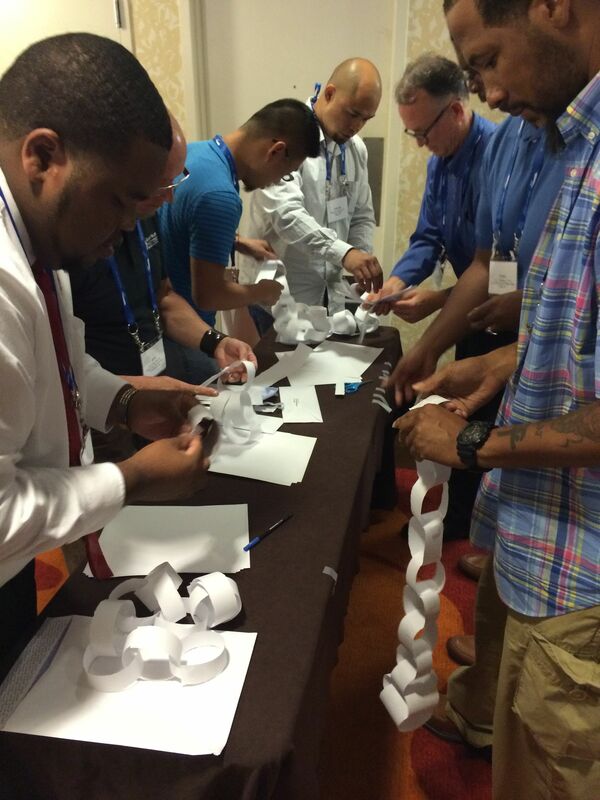 Participants engaged in fun, interactive, team building exercises that focused on the principles of teamwork and communication. WISER hosted a series of break-out sessions that the participants chose to attend based upon information about the faculty, learning objectives, and a brief overview of what each session would entail. These sessions were led by professionals in the field of simulation. 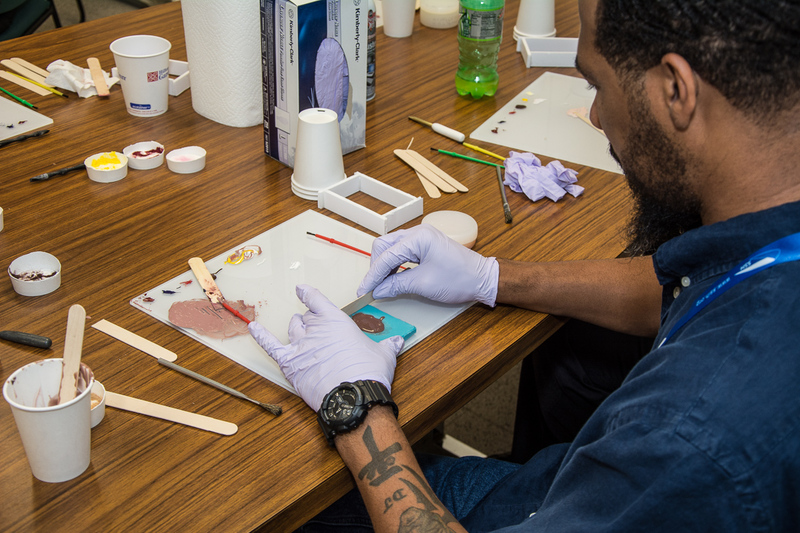 Some of the topics included "Preventative Maintenance for Manikins", "Going Hollywood with Moulage", "Educational Videos for Under a Grand", "Creating a Simulated Pharmacy", and "Scenario Design Made Easy". These sessions were held both day one and day two. The Tech Mod Showcase was hosted on the second day at the Hilton Garden Inn. Peer-reviewed submissions were selected based upon their technical and operational relevance to Sim Specialists. The goal of the Tech Mod Showcase was to help foster creative problem-solving solutions for implementation at your Sim Center. Some of the entries included Airway Fire Modification, by our own Kevin Miracle, Manager of Simulation Services at WISER, as well as a Mobile Simulation/AV Cart by Jim Christman, our PC Consultant. Other entries were SimMan-tha, a SimMan modification that allowed for simulation of a cesarean birth, Developing an Electronic Health Record for Simulation through Google Docs, and Building a Pneumothorax Simulator. All of these Tech Mods greatly exemplified how you can modify your equipment to meet the different needs of your simulation center. 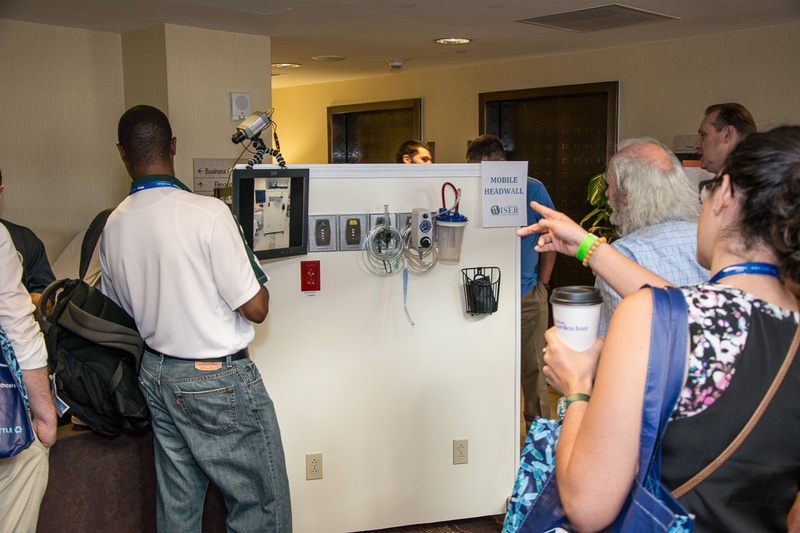 Immediately following the close of the breakout sessions at WISER, the participants returned to the Hilton Garden Inn for the Sim Tech Challenge. In this challenge, 3 random teams comprised of 4 colleagues were given every day simulation equipment and tools to run scenarios and solve problems in their simulation center. Congratulations to Team 2 for winning the Sim Tech Challenge! Closing remarks were made by S. Scott Atkinson, the Planning Committee Co-Chair, and his keynote adjourned the event for this year.